PRICE FOR ANNUAL (12 Months) SINGLE USER LICENCE – £1,400 (+VAT). CONTENT UPDATED EVERY 2 MONTHS. Hosted on Bloomsbury Professional’s easy-to-use online platform, VAT on Construction, Land and Property is a detailed yet practical guide to VAT law and practice applying to construction, land and property matters in the UK and Isle of Man. Widely recognised as the definitive guide to this complex subject, VAT on Construction, Land and Property is an essential reference work for advisers and businesses alike. It deconstructs the most intricate rules to make them accessible for all, as well as providing reminders of the obscurer points which are useful for even the most dedicated specialist. Drawing on the author’s extensive experience, contacts and regular interaction with HMRC policymakers, this text offers insights that are not found anywhere else. Updated every two months, it not only provides critical analysis of the most recent developments but also anticipates future changes. Which key topics are covered? Detailed chapters cover major topics such as the option to tax, TOGCs and residential projects but even the most obscure provisions and reliefs are also addressed in this unique resource. More general aspects of the tax, such as time and place of supply, partial exemption and the capital goods scheme, and the disclosure rules for ‘schemes’ are closely examined from a real estate perspective. What material is included in each release? This expert guide combines a breadth of materials in a way that other sources do not – commentary is interspersed with extracts from HMRC guidance, case law summaries and examples, providing even the most knowledgeable reader with reminders of exactly what HMRC said in 2005 or the name of that Latvian case from last year. Material is generally retained until it is four years out of date (and consequently out of time for any assessment or back-claim) but a useful annex gives an historic overview for those who need it. Want to see this online service in action? 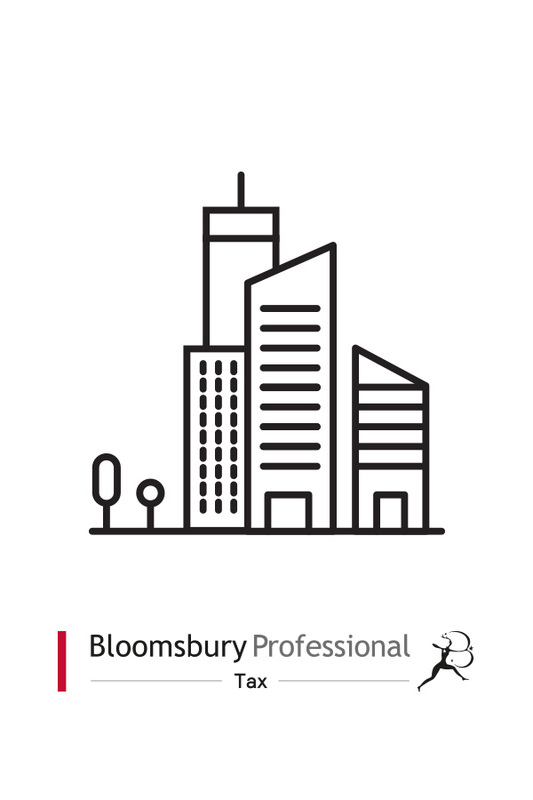 To request a live demo from our expert team, or to sign up for a free trial, email mailto:onlinesales@bloomsburyprofessional.com or call 01444 416119. You can also contact our sales team to find out about subscription costs for 3+ users. Martin Scammell is an independent VAT consultant, specialising in property and construction matters, who works with tax departments in major corporates and universities, and with a number of law and accountancy firms. Martin started out in VAT Policy in Customs & Excise, was a Partner at Ernst & Young, where he headed up the VAT real estate group, and then became head of indirect tax at Eversheds. He has been involved in the development of VAT legislation and policy over many years. He is a member of the Office of Tax Simplification’s consultative committee for their review of VAT initiated in 2016 and currently works with HMRC as technical secretary to the British Property Federation’s VAT Committee, as an adviser to the British Universities’ Finance Directors’ Group and as a member of HMRC’s Joint VAT Consultative Committee and VAT Land and Property Liaison Group. He regularly serves on working parties established by HMRC. This book is published by Bloomsbury Professional in collaboration with Orca Law Ltd, a company owned and managed by David and Peter Scammell. Orca Law has responsibility for aspects of the production and distribution of the book.